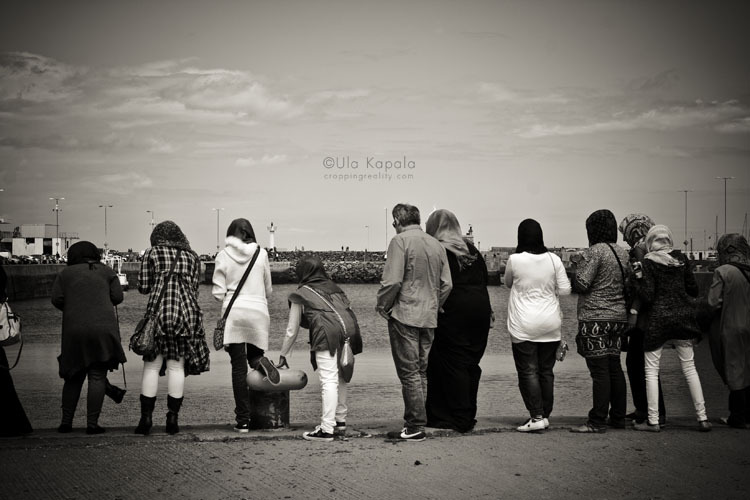 A group of Muslim teenagers admiring the seals in the Howth fishing port. The guy who suddenly appeared before my camera is spoiling the picture somewhat, but I decided to publish it anyway. Hi Ula, this shot is has this strange effect on me, It feels so real, the lower greyer tones are expressed so much clearer, and so much more dramatically. Would you consider giving your opinion of my work?